If I’m being honest with you, I’m almost always somewhere in the middle of a Gilmore Girls rewatch. If I’m editing images, organizing blog posts, or cleaning, it’s the perfect show to have on in the background. It’s also a great pick me up after a bad day. I’ve seen it from start to finish more times than I can count and even John has watched it in it’s entirety at least three times. So when I heard that actress Lauren Graham, who plays Lorelai on Gilmore Girls, had penned a novel, I was intrigued. After my latest rewatch of the beloved series, I decided to pick up the book before watching the show one final time before Gilmore Girls: A Year in the Life. 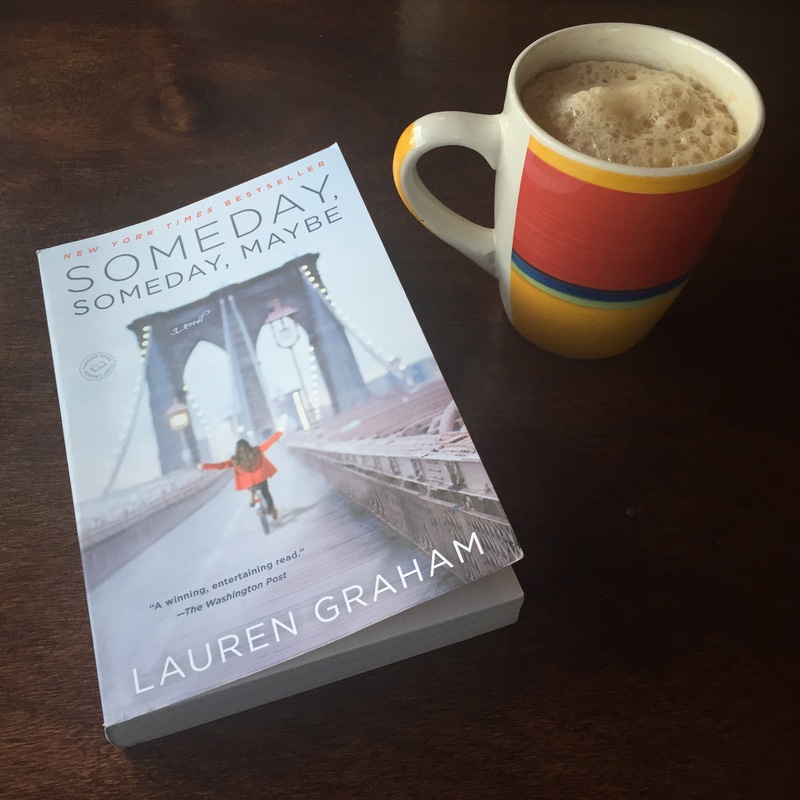 I didn’t know what to expect when I started reading Someday, Someday Maybe but I can honestly say I enjoyed it and Lauren Graham should consider writing another novel. The novel follows Franny Banks, who is a struggling actress in NYC, and her journey to find herself while still managing to pay rent. Franny has set herself a deadline in which to reach her goals and if she doesn’t see substantial progress, she plans to head back home and possibly marry her college sweetheart. The story is incredibly relatable for anyone who has felt torn between following their dreams or settling for a safe but less passion-filled life. I would highly suggest picking this up for a fun, quick weekend read!